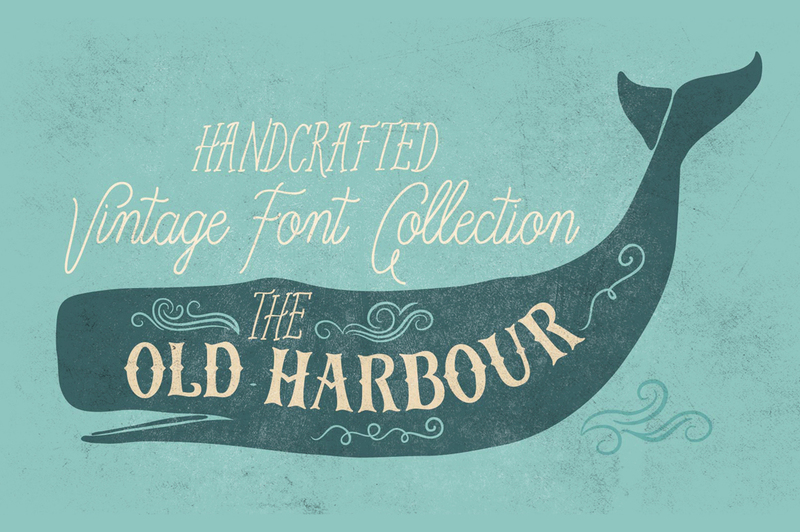 Old Harbour is a 12 vintage fonts collection created and published by Anastasia Dimitriadi, a Athens (Greece) based type designer. 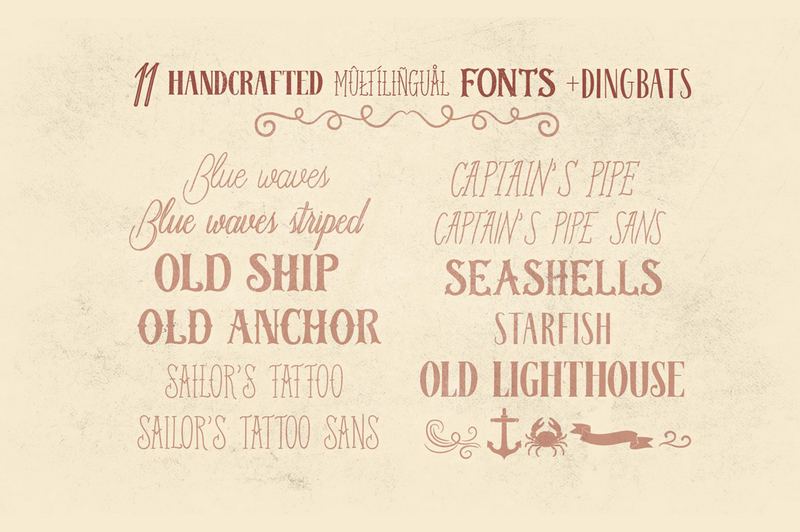 Inspired by the vintage hand lettered signage old marine and sailor tattoos, Old Harbour fonts can be combined seamlessly to create amazing vintage designs for apparel, logos, labels, posters etc. You have sailed around the world to reach the Old Harbour! A font description published on Thursday, May 12th, 2016 in Anastasia Dimitriadi, Fonts by Andrei that has 3,385 views.